Note: The following instructions are specifically for campaigns that do not have the Shopping Cart feature enabled. If you have the Cart activated for your campaign, check out our article on adding Peer-to-Peer to Campaigns with Shopping Cart Enabled. 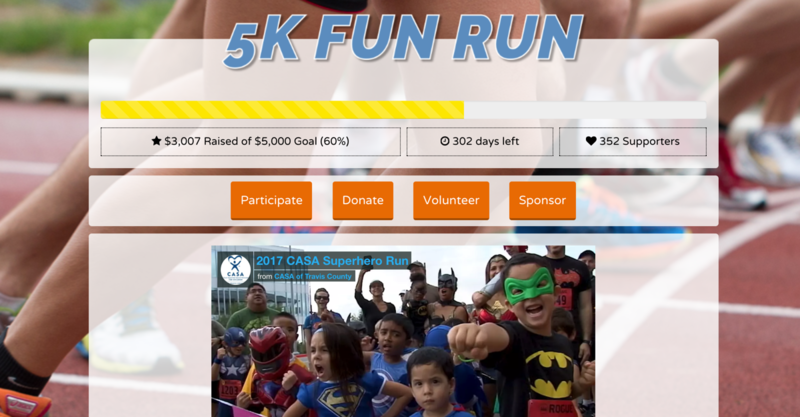 For example, in this 5K campaign, we want to make sure everyone who registers for our run will be prompted to take another available action immediately after registering: Start Fundraising. 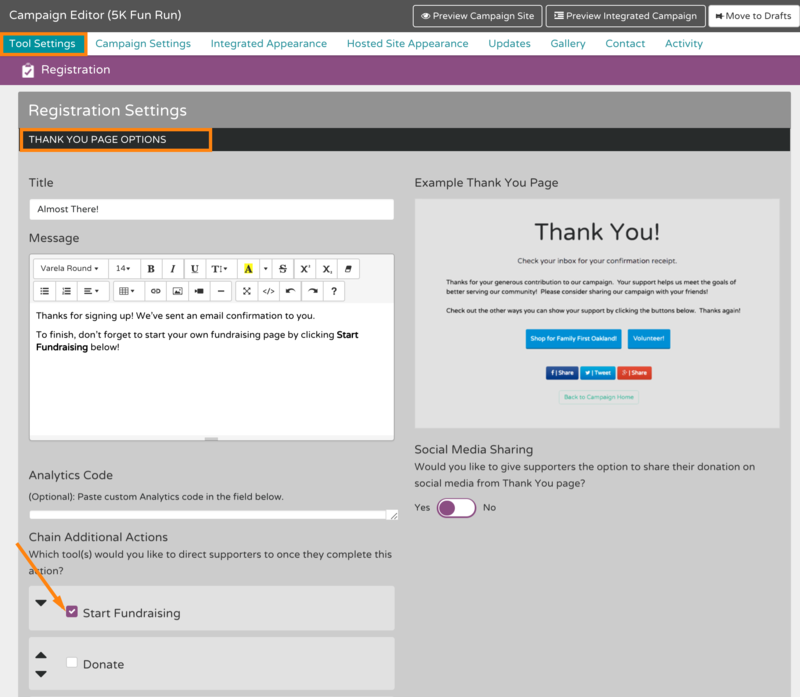 You can configure Chain Actions by going to Tool Settings > pick the tool after which you'd like to encourage another action > click the first Settings menu > scroll to Thank You Page Options > check the box for the additional action(s) you'd like to encourage.